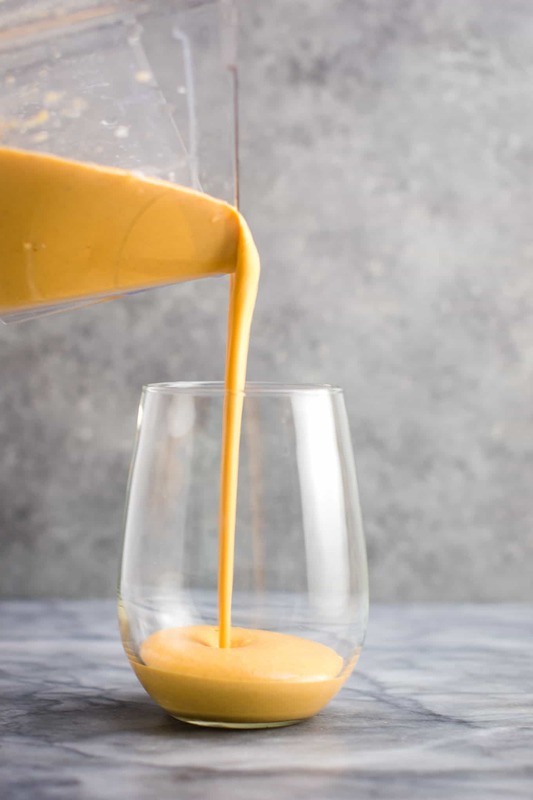 This sweet potato smoothie recipe is on repeat for fall. 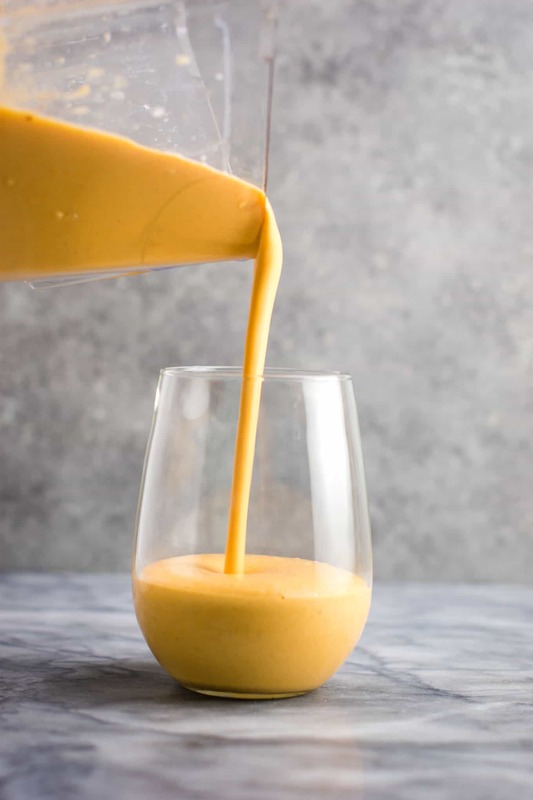 With wholesome sweet potato cubes, creamy almond butter, and frozen bananas, it’s a super thick and creamy smoothie that tastes like dessert. I have personally never had sweet potato pie, but I can only imagine this is what it would taste like! One taste tester said he thought it tasted like pumpkin pie in a glass. 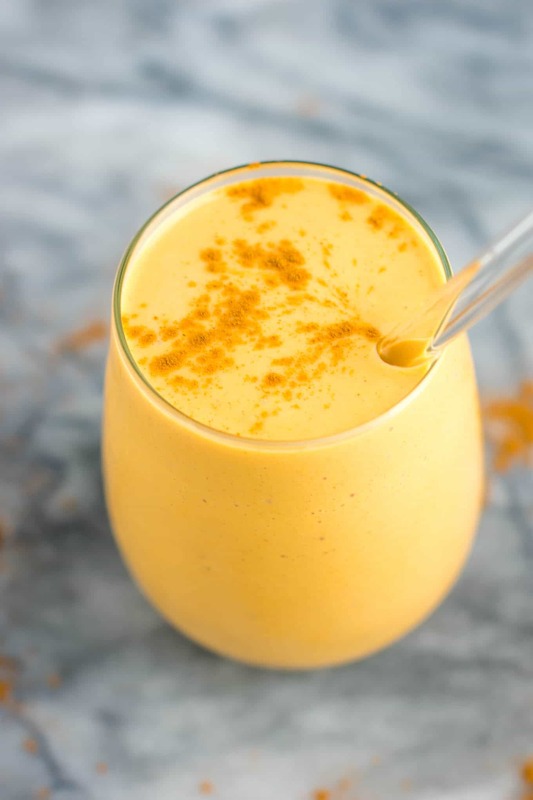 I can’t get enough of this easy smoothie and am planning to stock my freezer with sweet potato cubes to make this often! Almond butter and cinnamon pair with pure maple syrup and sweet potatoes to make this incredible fall flavored treat. Even kids will love sweet potatoes this way! The day before, you will need to make your sweet potato cubes so that they can have time to freeze until solid. You can read my post on how to steam cauliflower for my favorite method for steaming vegetables at home without an actual steamer. It only takes a few minutes and is easy to clean up! Just peel and dice your sweet potato, steam until fork tender, and remove to cool for a few minutes on a plate. Once slightly cooled, transfer the cooked sweet potato cubes to a ziploc bag and freeze until solid. I like to keep extra on hand for easy smoothie making, so often times I will steam 3 sweet potatoes at once to have extra for later. 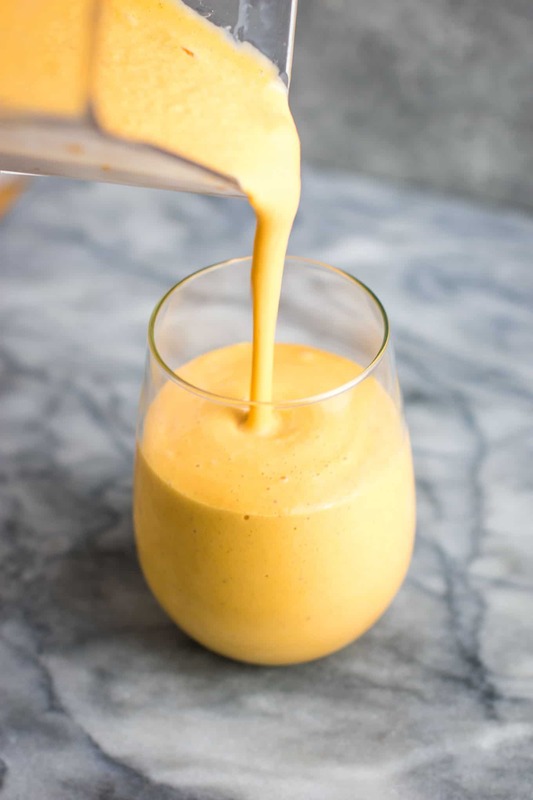 Sweet potatoes and bananas are great for freezing and adding to smoothies to get that great creamy texture that everyone loves. To make your smoothie, add all ingredients to a high speed blender and blend until smooth. 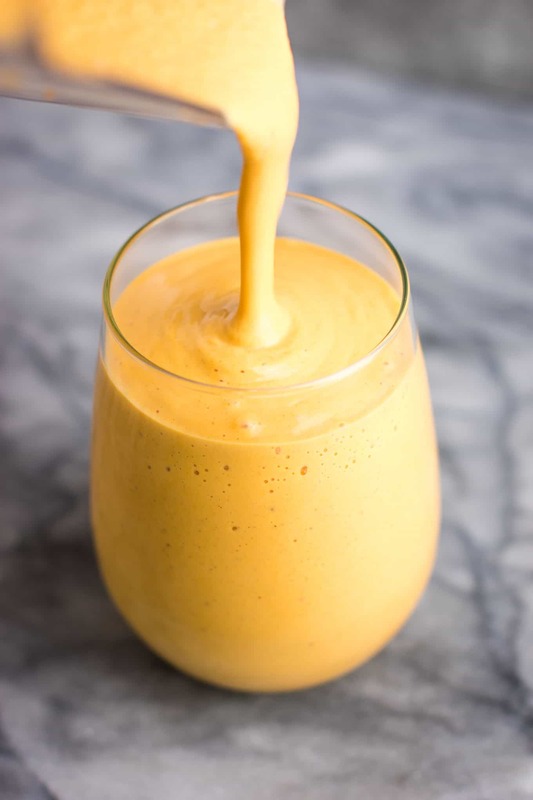 I love the taste of almond butter in this smoothie and it pairs so well with the fall taste of sweet potato! As usual, we are using pure maple syrup to sweeten it up just a touch. Pure maple syrup and honey are the go to healthier sweeteners around here. You can use any milk you like, such as 2%, whole, almond milk, or soy milk. Any basic unflavored milk, dairy free or otherwise, will work. I am obsessed with how creamy and delicious this recipe was! Sweet potatoes are amazing and so healthy for you, and smoothies are a great way to sneak extra veggies in. 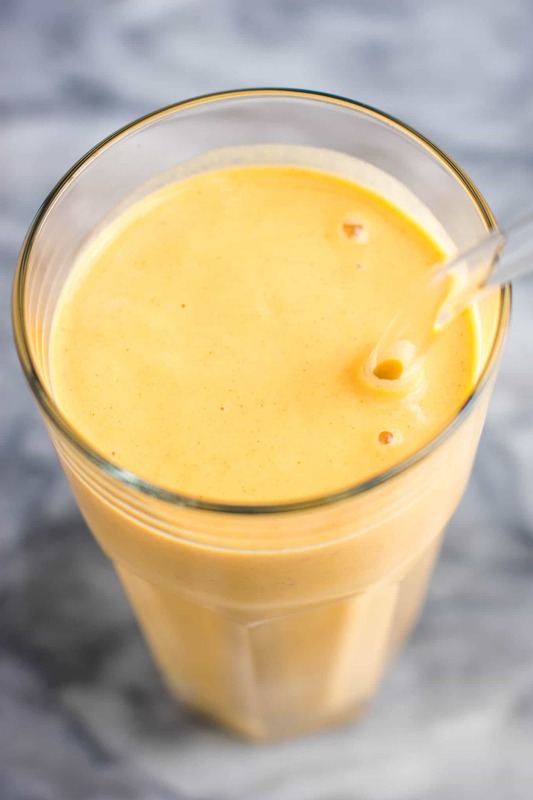 For another smoothie using sweet potatoes, check out our Healthy Chocolate Milkshake. It’s crazy good and packed full of good for you ingredients! This would be a great recipe for breakfast, a nutrient dense snack, or even dessert! Sweet potatoes are so incredible and not just for Thanksgiving! Check out some of our favorite ways to eat sweet potatoes below. From side dishes to breakfast, dinners, and more! Sweet potatoes are a delicious and versatile vegetable for any meal. Sweet potato might not be the new pumpkin, but I love them both this time of year! Do you have a favorite sweet potato recipe? 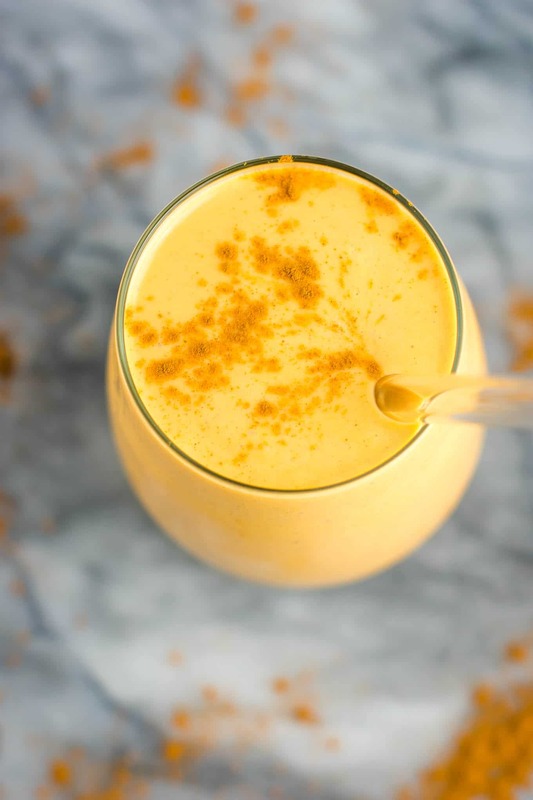 Hungry for more healthy smoothie recipes? Here are a few reader favorites! Be sure to follow Build Your Bite on Pinterest to save all of your favorite recipes! Save this recipe for later! Click HERE to pin it! To make the sweet potatoes, simply peel and chop up sweet potatoes into chunks, then steam until fork tender. Once steamed, allow to cool slightly, then transfer to a ziploc bag and freeze until solid before using. Read this post for how I prefer to steam my vegetables without an actual steamer, it's super easy! This recipe makes one very big smoothie, or two medium sized ones.